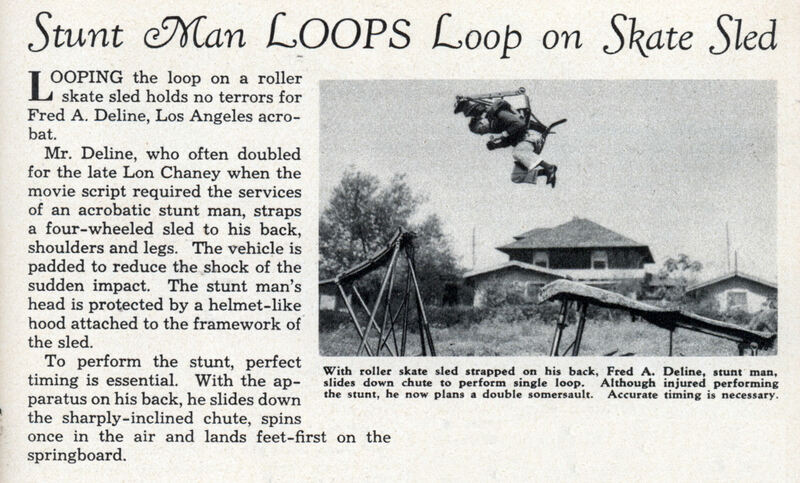 LOOPING the loop on a roller skate sled holds no terrors for Fred A. Deline, Los Angeles acrobat. Mr. Deline, who often doubled for the late Lon Chaney when the movie script required the services of an acrobatic stunt man, straps a four-wheeled sled to his back, shoulders and legs. The vehicle is padded to reduce the shock of the sudden impact. 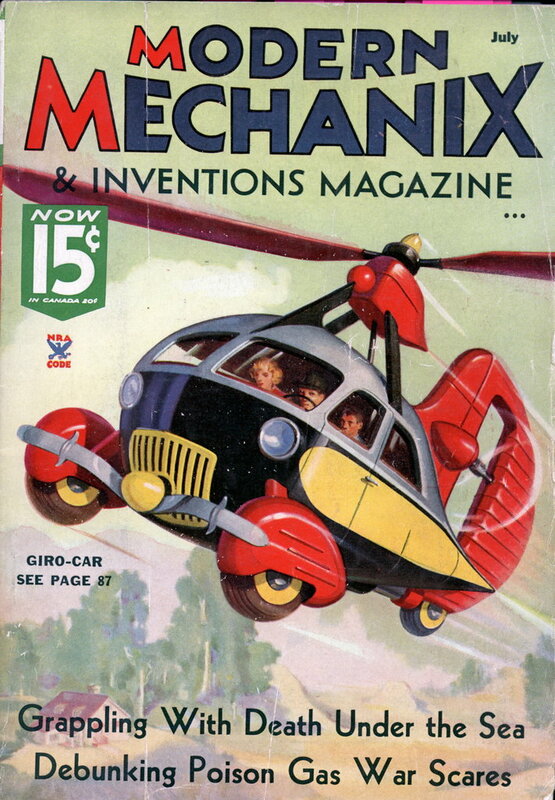 The stunt man’s head is protected by a helmet-like hood attached to the framework of the sled. To perform the stunt, perfect timing is essential. With the apparatus on his back, he slides down the sharply-inclined chute, spins once in the air and lands feet-first on the springboard. Was he going down backward? I can’t see how he could be in the position he is in mid-air unless he was. He could’ve tumbled in that direction, too, I suppose. Something doesn’t look right about that photo. It says he was injured; it looks like (depending on how he was spinning in the air) he will hit the “springboard” on his back or on his face – no way was he going to hit it on his feet (and if he did, he would be facing backward with his momentum carrying him backwards). All in all, this looks like a very careless (and not well thought out) stunt, even for the times. I wonder what his injuries were, and whether he recovered to continue his antics?